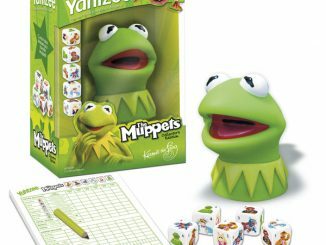 Yahtzee is a classic dice game that families have enjoyed for decades. 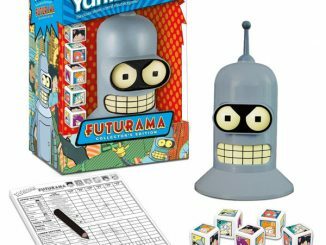 If you want something a bit more modern and geeky in your Yahtzee set, get this awesome South Park Yahtzee game. 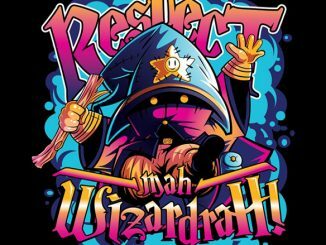 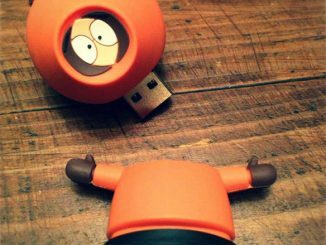 Yes, it is the same old game that you know and love, but with a South Park theme. 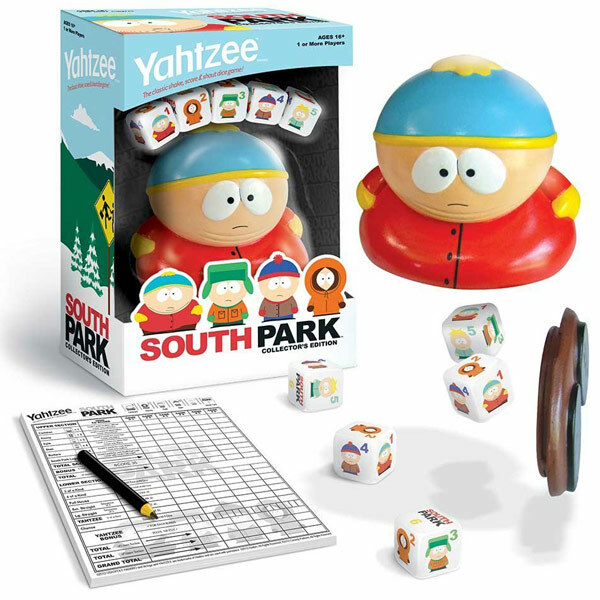 This special South Park Collector’s Edition of Yahtzee features custom dice featuring Cartman, Kenny, Kyle, Stan and Butters! 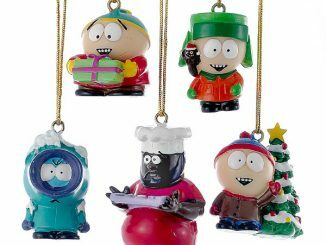 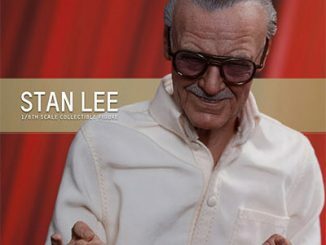 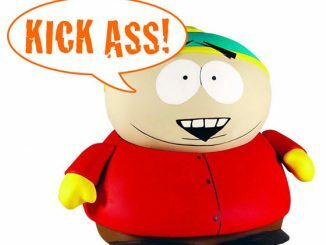 You get a custom collectible “Cartman” dice cup, 5 custom dice featuring, Cartman, Kenny, Kyle, Stan and Butters, a score pad, rules and a pencil. 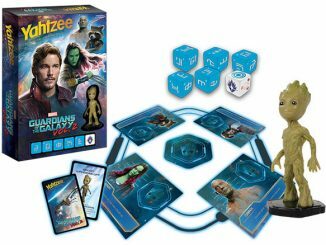 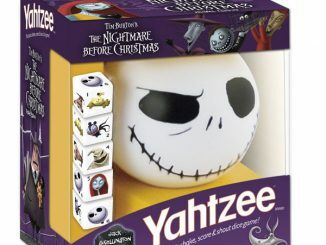 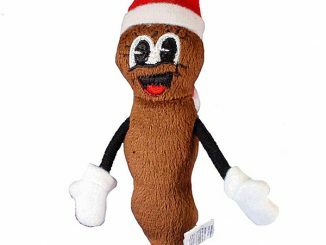 This should jazz up those Yahtzee games and deliver even more fun. 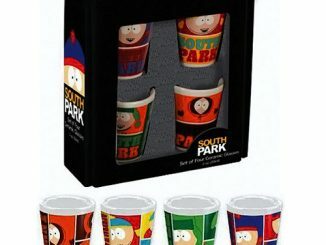 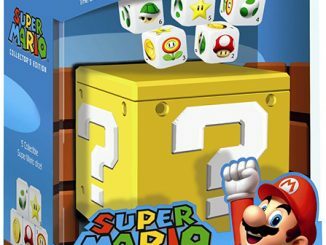 This set is only $21.99 from Stupid.com and $11.99 at Amazon.com.